During World War I a successful recruitment campaign meant many volunteers flocked to join the ranks and accept the King’s shilling. By 1917, given the horrors of the war, insufficient numbers were volunteering for battle and so conscription was introduced. 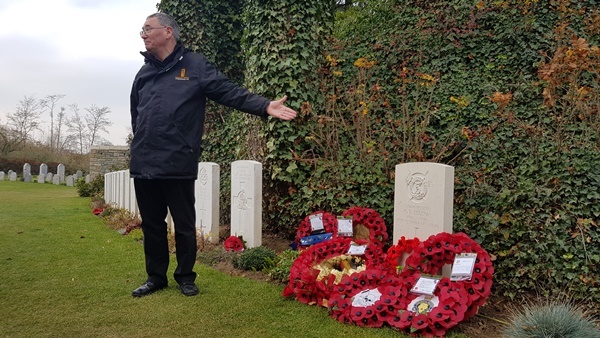 In November 2018, the centenary year, Mercat Tours International hosted a special tour to commemorate those who joined up with such enthusiasm and innocence and who were still alive to witness the Armistice in November 1918. 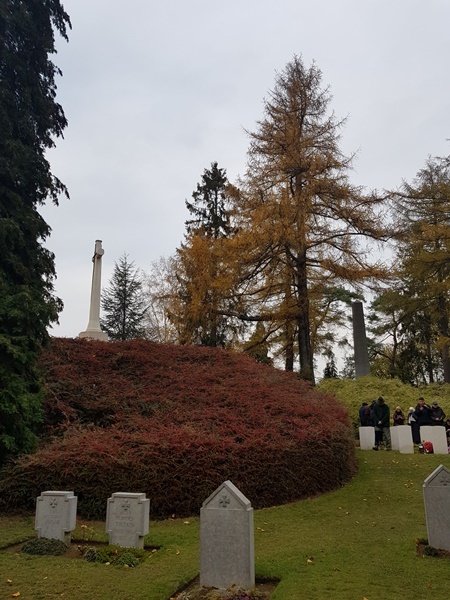 This blog will share our journey on this amazing Battlefield Tour, starting with our visit to St Symphorien Military Cemetery, Belgium. Maurice Dease was the first posthumous recipient of the Victoria Cross in WW1. 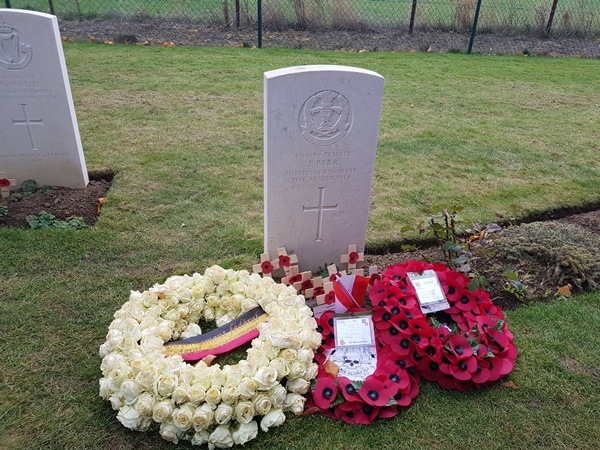 Dease was awarded the Victoria Cross for defending Nimy Bridge and maintained firing a machine gun until he was hit for a fifth and final time. Along with Private Sid Godley, these were the first British soldiers to receive the award in the World War 1. During the course of the war 627 VCs in total were given. 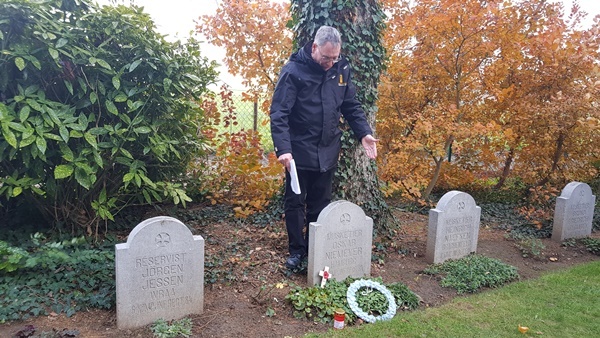 Oskar Niemeyer from the 84th Infantry Regiment, previously a gardener, was the first recipient of the Iron Cross during the war for his bravery during the Battle of Mons, 1914. 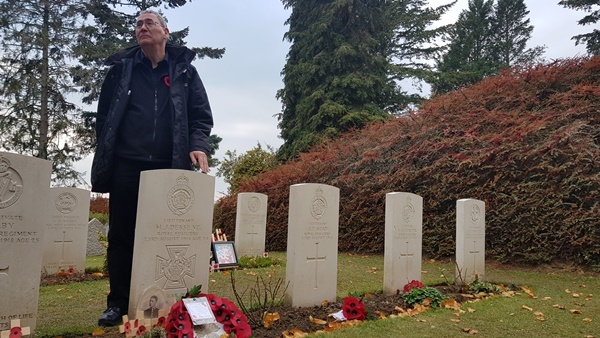 Private John Parr of the 4th Battalion Middlesex Regiment was a cyclist, riding ahead to uncover information then returning to update the commanding officer. 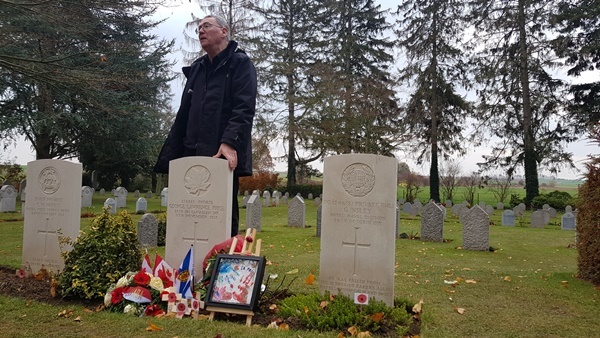 He was the first Commonwealth soldier killed in action during the First World War. George Ellison was the last British soldier killed in action during the First World War. He died at 09:30am on 11 November 1918, just 90 minutes before the armistice came into effect. He was aged 40 at the time of his death after serving in the Battle of Mons in 1914, and several others including the Battle of Ypres, Battle of Armentières, Battle of La Bassée, Battle of Lens, Battle of Loos, and Battle of Cambrai on the Western Front.